Registrations of used motor vehicles in August 2010: +9.9%; passenger cars +11.4%, lorries +6.6%. A total of 85 041 registrations of used motor vehicles were observed in August 2010, which is 9.9% more than in August 2009. 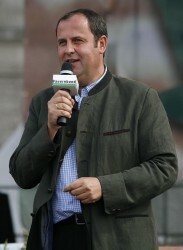 According to the current results of the OeNB export indicator calculated on the basis of trucking mileage performance data of September 2010, the Austrian export economy has also expanded in the two summer months. Stable labour market in the second quarter 2010; more men and less women were employed than in the second quarter 2009. According to the Wirtschaftsforschungsinstitut (Economic Research Institute) the growth in the second quarter was due mainly to exports and investment. For the rest of the year, however, the Institute expects a slowdown in economic activity. 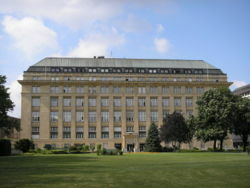 As soon as the budget is back on its feet, the tax will be 19 percent again, according to Prime Minister Iveta Radicova. 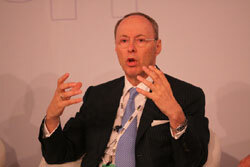 A deficit of up to eight percent is forecast for 2010. A new study of the Horváth & Partners Management Consultants studied the success factors for setting up the subsidiaries of production sites in CEE. 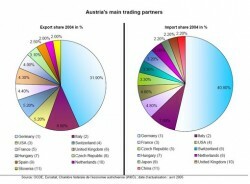 Austrian imports increased by 12.3% and Austrian exports rose by 12.5% compared to the same period in 2009. 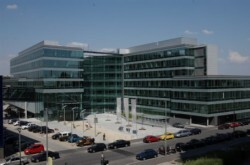 Based on results for the first half of 2010, turnover of Austrian services enterprises at nominal values rose by 1.9% compared to the first half year 2009. By the end of August the number of registered jobless in Austria's capital Vienna dropped by 1.8 percent y/y to 71,098. Provisional number of new passenger car registrations in August 2010: +10.4%. 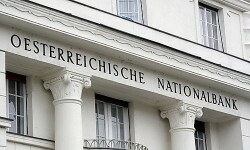 Austrian Central Bank OeNB reported that in June the volume of new loans extended to private households reached the highest level this year, while the value of new corporate loans dropped. Austria continues to exhibit lowest unemployment rates. The seasonally adjusted production index for the Production Area (NACE 2008 B - F) (base year) recorded a 0.6% decrease in June compared to May 2010, according to calculations by Statistics Austria. In 2009 Eastern Europe registered 44 380 company failures, which accounts for over 44 percent more bankruptcy cases than in 2008. 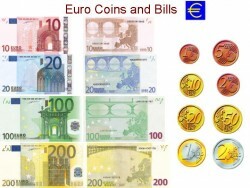 In Western Europe, the increase was 18.6 percent, Austria performed well with 9.3 percent. According to the Austria Economic Service (AWS) a significant increase in demand for small loans was registered in the first half of 2010. Austria's Economy - The construction cost index for construction of residential buildings reached 119.6 index points in July 2010. Austria has concluded agreements for an official residence of the World Bank Group. 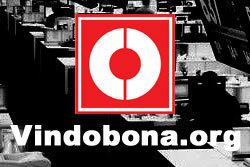 It provides privileges similar to those of diplomats for employees of the international organization. New rise in industrial production prices in May 2010: +0.8% from previous month, +2.9% compared to May 2009. 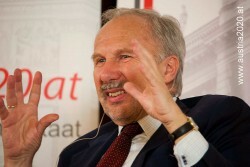 East-Europe Bank - "Hungary carries risks of infection"
The proposed bank tax against the wishes of the IMF is not a good sign, says the head of the European Bank for Reconstruction and Development (EBRD). Hardened front between the Hungarian government on the one hand and the International Monetary Fund (IMF) and the EU on the other side: highly-indebted Hungary has ruled out further austerity measures. Bankers warnings on impact of the stricter financial rules, five to ten thousand jobs are threatened. The Austrian economy has shrunk even more in 2009 than previously expected. The inflation rate was held high in June compared to last year due to higher prices of petroleum products. Results of stress tests will be published later than expected - assumptions behind tests create uncertainty. Local banks in stress test "within normal range"
A return to recession is not expected according to economists at Bank Austria, but the peak was now surpassed. Head of Bank-Austria parent UniCredit, Alessandro Profumo, has announced his ambitions for a privately financed € 20 billion heavy rescue fund for troubled European banks.